What happens when a pothole is allowed to become a lurking menace? It causes big problems. It costs big money. And it just shouldn’t happen that way. This is a tale about such a monster—created out of ignorance, and fixed quickly with a little white-hat, vigilante spirit and some EZ Street asphalt. Our monster pothole story begins near Port of Astoria Airport in Warrenton, Oregon. An access road has an enormous pothole. It keeps getting bigger. And despite numerous pleas to repair it…nothing. Nobody will fix it. Mainly because nobody knows whose road it is, and who’s responsibility it is to effect the repair. Then, the inevitable happens: a local businessman thinks he’s driving through a puddle—and does thousands in damage to his vehicle. Wheels bent. Tires ruined. It’s just ugly. Who’s going to pay for the damage? Who knows! Finger-pointing ensues. Meanwhile, to make sure this doesn’t happen again, Bayview Transit Mix takes matters into their own hands. Securing some bags of EZ Street cold asphalt from Lakeside Industries, they repair the hole on their own. It’s not their responsibility. But they take it as their own. Call it vigilante pothole justice. EZ Street is also perfect for the job. Despite the hole being filled with water, the EZ Street product can just be dumped right in. 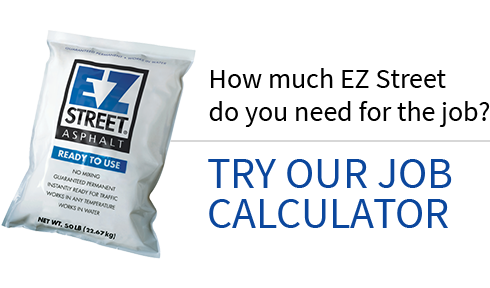 EZ Street’s polymer modified asphalt blend displaces water. Bayview just compacts the product, and the job is done. The road is safe. No more damaged vehicles. Too bad nobody was willing to repair this pothole in its infancy, before it grew into a monster. And with the EZ Street product, it would have been a snap. 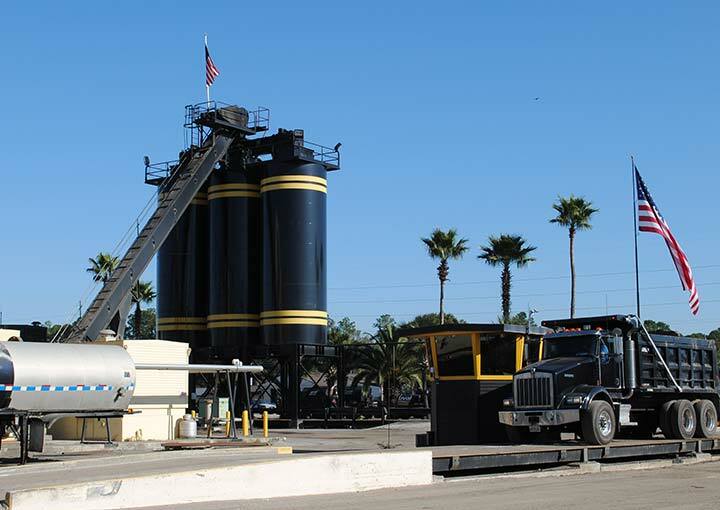 EZ Street asphalt makes quick and cost-effective work of jobs like this. It’s also guaranteed to outlast the surrounding pavement. It would’ve saved time, money and misery. Fix‘em when they’re small! EZ Street asphalt: showing potholes who’s boss.